Came into the city on the last day of 2014 to join Deirdre Bolton on her Fox Business show Risk & Reward to talk housing rents and 2015 with a dash of $50M+ sales in New York. Always fun. 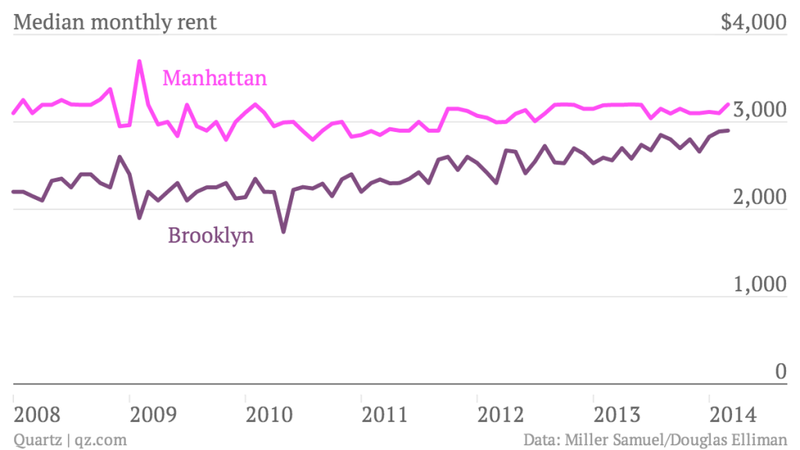 Rob Ferdman over at Quartz writes a great breakdown of the narrowing rental spread between Manhattan and Brooklyn using the data I crunch for The Elliman Report: Manhattan & Brooklyn Rentals. Here’s my version of the chart. 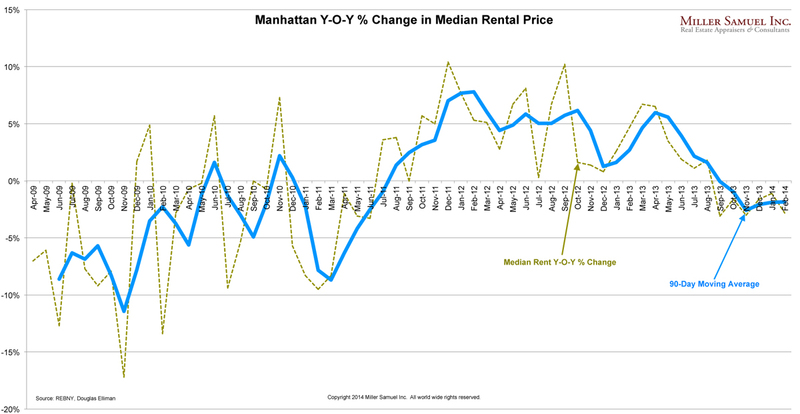 Given the discussion about the narrowing gap between the Manhattan and Brooklyn Rental markets, I thought I’d place the rental price trends side by side to get a sense of how the two markets match up. 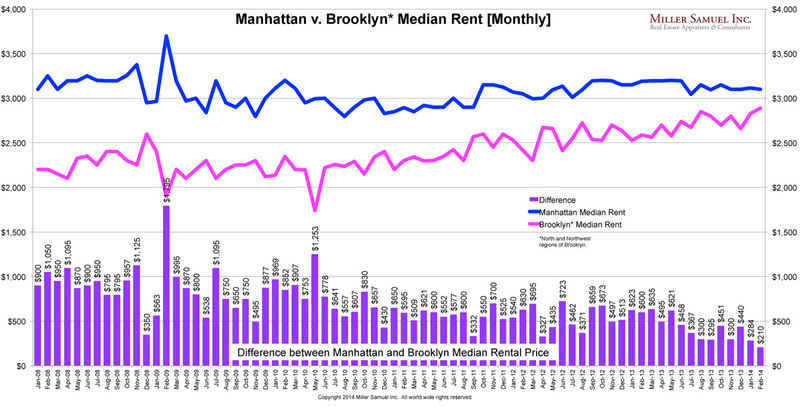 The rental price spread between Brooklyn and Manhattan is narrowing. 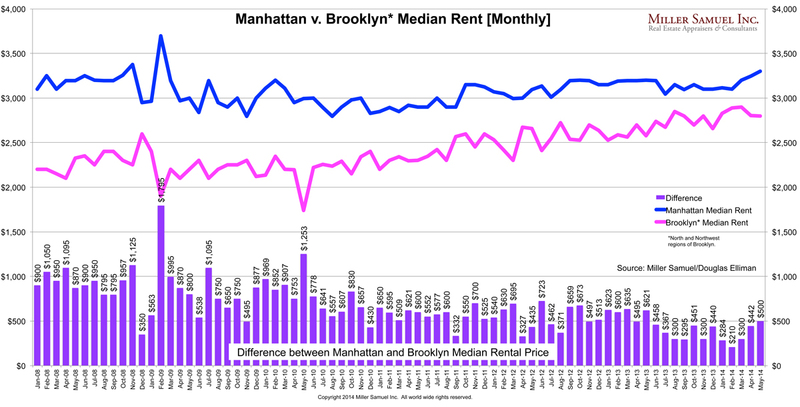 At $210, the month of February saw the lowest differential between the median rental price of Manhattan and Brooklyn’s North and Northwest regions. 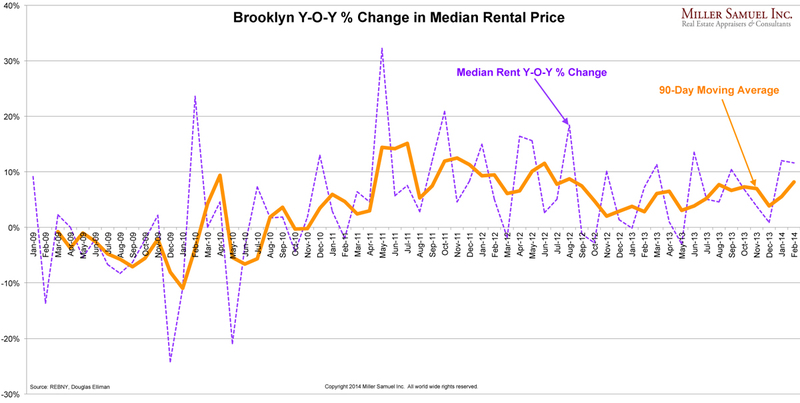 While Manhattan rents have leveled off, Brooklyn rents have continued to rise sharply – a combination of rising demand as well as a shift in the mix towards luxury rentals. 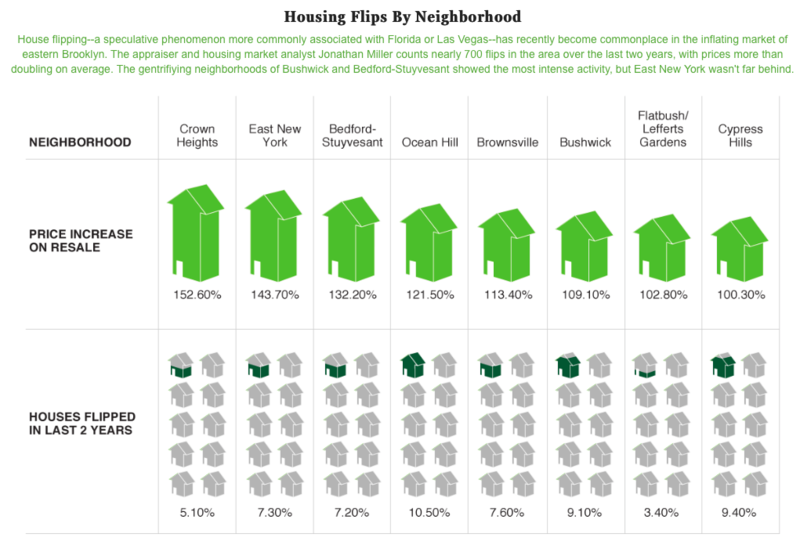 A decade ago, who would have thought we’d be talking about Brooklyn this way? Affordability was largely favorable in the second quarter but higher home prices and mortgage rates more than offset the increase in family income. The West Region shows both higher prices and more highly leveraged transactions. Kansas had the highest affordability for home ownership. NOTE: This table shows the approximate home price a family earning the specified income could afford making a 20 percent downpayment, with no more that 25 percent of gross income for principal and interest payments. Variables include the type of loan and interest rate. While the national median sales price of a US home was reported to be $218,900 in June 2005, there was great disparity in the 4 regions covered: Northeast, Midwest, South and West. The West saw an 85% higher median sales price in June than the Midwest did. Not only does the West region have the highest housing prices, but has the highest payment level as a percentage of income, roughly 50% more than the other regions. A urban development think tank ranked housing affordability by state using median sales price and median household income for 1970 and 2000. They contend that denser urban areas that control growth generally have higher prices. Kansas was the most affordable place to own a home in the US. Hawaii was the least affordable, nearly 2.7 times that of Kansas.